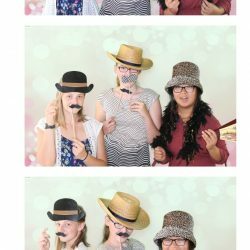 The unique fun of a selfie photo booth is perfect for any occasion! Weddings, family reunions, anniversary parties; we do it all. 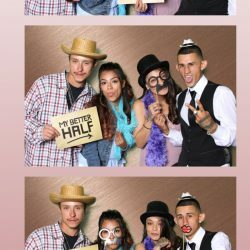 Every event guest loves the dynamic energy of snapping custom, on-site photos at any special occasion.A fully-equipped photo booth eliminates the unease people feel around a photographer and allows them to choose the number of photos they take, cut loose, and to have fun doing it! Portable and wifi-enabled, we come fully stocked with props and equipment. 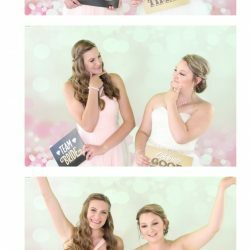 With custom photo strip design, graphics and green screen capabilities, your photos are sure to capture the memories in a way that is uniquely yours. Working with families across Northern Colorado, we’ve helped elevate the fun factor of birthday parties, holiday parties, anniversaries, graduation celebrations, baby and wedding showers and — of course — wedding receptions. Looking to take your party up a notch? Contact us to check availability for your event! Check out some of our favorite events!